If you experience tax-season anxiety, you’re not alone. Many people dread this time of year. However, there are a few strategies that make filing taxes easier and help taxpayers avoid unnecessary stress. Some people’s taxes prove more complex than others, but you almost always need at least a few pieces of paperwork, including your W-2. Before you start filling out forms, calling CPAs or doing any other tax prep, gather all the documents you’ll need to file. For instance, if you’re itemizing your deductions, start sorting your receipts. You’ll have them at your elbow when you need them, and you won’t have to worry about ransacking your house in the middle of the night for a tiny slip of paper. You might also need documentation for home loan interest, school tuition, dependent costs, and other information. Gather it now so you’ll have it when you need it. Nobody wants to worry about tax returns getting lost in the mail. If you haven’t already, start filing your taxes online. The IRS allows you to do this directly through its website, so you don’t have to worry about licking any stamps or taking any unnecessary trip to the post office. Filing electronically can also speed up the process. The IRS will get your information faster than if you mailed it, which means your documents will get processed quicker. If you’re anticipating a refund, you’ll want to get it as fast as possible. Did you know that there’s an official IRS app? It’s called IRS2Go, and it allows you to check on the status of your return and other information. Instead of waiting by the mailbox every day, you’ll know exactly what your return timeline looks like. The IRS2Go app offers other benefits, such as the chance to pay your tax bill online and the opportunity to learn more about the tax code. Search the IRS’s database of information and frequently asked questions. Instead of paying a CPA for advice, you can get it from the source. This is especially helpful since many consumers have the exact same questions about their taxes. In 2015, Congress passed the Protecting Americans from Tax Hikes (PATH) Act. The PATH Act was designed to prevent identity theft and fraud, which would ultimately protect tax-payers. The IRS noticed that fraudulent activity often surrounded two of the most claimed tax credits: the Earned Income Tax Credit and the Additional Child Tax Credit. Parents and taxpayers with dependents can claim both credits even if they have no tax liability. To prevent the fraudulent activity, the PATH Act created a law that prevents the IRS from issuing refunds to anyone who claims the Earned Income Tax Credit or the Additional Child Tax Credit before February 15. It also means that the IRS will look at such returns more closely and that those who file early will receive their refunds faster. Unfortunately, the PATH Act puts low- to middle-income families at risk. 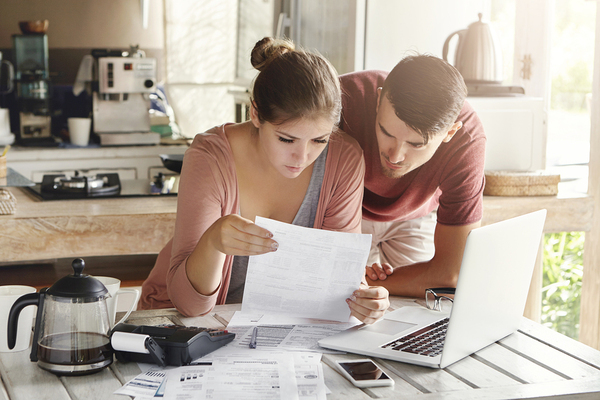 Families in this income range often depend on these credits to keep their finances under control, and the delay might hit these consumers the hardest. Additionally, you can’t get other portions of your refund back earlier, so you’ll have to wait for the entire thing. Filing early is the best strategy for getting your refund quickly. While your taxes can change dramatically from one year to the next, refreshing your mind about last year’s return might help this year’s tax-filing season go more smoothly. You’ll remember which deductions you claimed, for example, that might apply again this year..
You can also speed things up by making a list of anything that has changed since last year. Did you get a raise? Did your bonus decrease? Have you bought a car or house? These factors can drastically change how you file your taxes. When you need a small piece of data, take the fastest route to finding it. For example, if you need to know about a check you wrote in June of last year, don’t go digging through bank statements. Instead, use the search function in your online banking interface to find it faster. Additionally, if you keep information on your computer, use the search tool to find it faster. Sorting through dozens of documents or spreadsheets can take hours. Simplify the process so you don’t feel overwhelmed. You must prove to the IRS that you have health insurance coverage. Otherwise, the government can subject you to hefty fines. Get that documentation together before you file so you don’t hit any snags. If you have insurance through the Affordable Care Act, you might also need to prove that you’ve paid your latest premium. The IRS and other government bodies have noticed an uptick in consumers who take out a policy, pay for a single month, and never pay again. Procrastination can cause you to drag out your tax filing. While it might feel good in the moment to drop your calculator and watch the latest episode of your favorite sitcom, don’t let yourself get distracted. Devote at least one hour to tax preparation. If you need more, put it off for one day, then give it another hour. This same advice applies if you’re using a tax preparer. You’ll need to set aside time to go over your financial information with him or her. Don’t get overwhelmed by your taxes. Take them line-by-line. IRS forms may seem complicated, but you’ll find them much easier to understand if you take a look at them line-by-line. Don’t jump around on the page because you might forget to fill in a necessary field. Filing a paper return? Use a piece of scrap paper to keep you focused on each line. You may find this easier if you file electronically, as recommended above, since the words would be easier to read — even for far-sighted taxpayers. Tax season often leaves people anxious because they worry about making mistakes. However, don’t let this fear complicate the filing process. You can always file form 1040-X, which lets the IRS know that you need to amend your tax documents because of an error. It will stop the IRS from flagging you for an audit or charging you interest and collections. Even with the PATH Act, you can get your money much faster if you direct deposit your tax refund to a reloadable prepaid debit. Best of all, as soon as the money appears on your card, you can use instantly use it for whatever you’d like. It works the same way as it would with a traditional bank account. Just give the IRS your prepaid debit card number and routing number. If you’ve never used a prepaid debit card before, you can easily get a debit card with 5% Cash Back, up to $100 annually. Get a card now, then use the above tips to make tax filing simple this year. Disclaimer: Green Dot is neither a paid return preparer nor a tax advisor. All Green Dot cardholders are urged to consult their own tax advisors and/or return preparers. In accordance with IRS guidelines, you can direct your refund to your card; you cannot direct your refund to someone else’s card (except for your spouse if it is a joint refund). 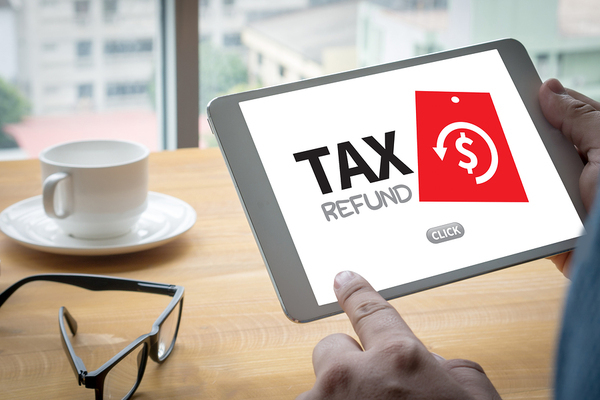 If we receive a tax refund intended for an individual other than the cardholder, the refund may be rejected and/or your card may be suspended or closed. Limits apply.